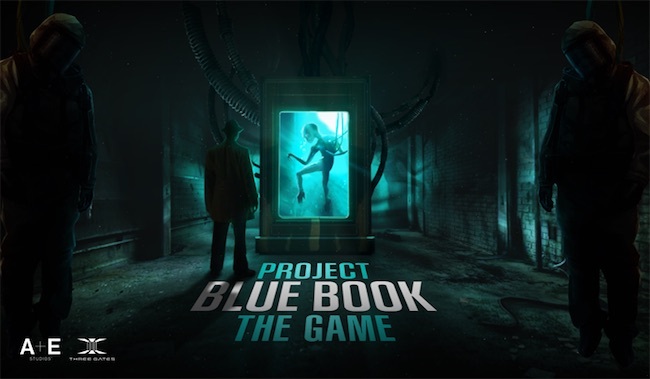 Players can now sign up for the upcoming Beta for the video game adaptation of Project Blue Book, the X-Files-esque alien-investigating Sci-Fi TV series set in the 50’s and 60’s. The Project Blue Book TV series is a surprisingly good X-Files style TV show produced by Robert Zemeckis, Director of Forrest Gump and Back to the Future. It follows an astrophysicist called Josef Allen Hynek (played by Aidan Gillen from Game of Thrones, and Captain Michael Quinn, (played by Michael Malarkey from The Vampire Diaries) and is based on real-life U.S. Air Force-sponsored UFO investigations between 1947 and 1970. There’s not a lot of information available about Project Blue Book: The Game yet, but it’s coming to “mobile devices and other platforms” – though it appears to be mainly aimed at the mobile market. It will allow players to step into the shoes of a newly recruited Project Blue Book agent who works under Dr. Hynek and Captain Quinn. You’ll be able to relive memorable moments from the show and investigate new cases, with you making important choices which affect the investigations. Sign up to be one of the first to investigate this unexplained flying Beta.